Founded by military veterans and serial entrepreneurs Kelly Perdew and Craig Cummings, the LA and Austin-based venture capital firm Moonshots has closed $20 million for its inaugural seed-stage fund. 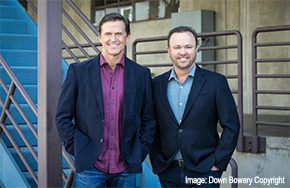 Perdew and Cummings met as entrepreneurs and angel investors in the early 2000s. Drawing on their entrepreneurial and military experience, the two are interested in funding founders with specific leadership skills. "The only place in the world we know of where literally millions of dollars are spent training people explicitly in leadership is the military," Perdew told Crunchbase News. With that, Perdew said that 70 percent of the funds that the two have deployed through their angel investments, through the Moonshot Capital angel syndicate, and with the new fund thus far has gone to startups founded by military veterans. That remaining 30 percent, Perdew said, has gone to founders which they believe show the leadership and planning characteristics common among founders on those other teams.